Delmarva Spray Foam and Delmarva Insulation were contracted by McGregor Custom Homes to install spray foam in a new home in Rehoboth Beach Yacht and Country Club. Throughout the building process, the buyer was focused on energy efficiency and comfort. With this home’s location off Rehoboth Bay, the buyer was concerned about the impact of bay winds on interior climate, noise and energy efficiency. As part of the home’s energy efficiency, the buyer installed a geothermal system for heating and cooling. He wanted a high-performance insulation system to match. In addition, we wanted to be sure his family was comfortable and their home furnishings and collectibles were kept in optimal condition. 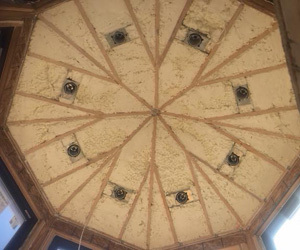 Spray foam insulation was installed throughout the 8,000-square-foot home. Installing spray foam insulation sealed all exterior air leaks to make the home airtight on the day of application. Fully sealing the shell of the home helped reduce exterior noise bleed despite the high wind exposure. 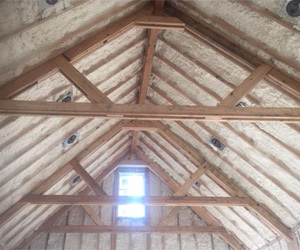 Spray foam insulation is an ideal product for new home construction, adding a level of energy efficiency and protection from outside elements not found with other insulation products. Foam insulation can be installed on any size project and in both existing homes and new homes. Contact our office to learn more.